MastersInESL.com is an online resource for those interested in learning more about graduate degrees in ESL and TESOL. These programs prepare students to teach English language learners both abroad and in primary, secondary, and post-secondary schools. To learn more about your options, click on these frequently asked questions below. You can also follow our blogger, Ketan Hein, a TESOL-certified teacher at an ESL academy in Seoul, South Korea. What is ESL or TESOL certification and do I need it? Which master’s degree is right for me? 1. Research ESL Programs and Requirements Start by researching schools and degree options in ESL to determine which route fits your interests and career goals. If you want to teach at the secondary level, you’ll want to look for a program that prepares graduates to work with high school students. The same goes for elementary and adult education. 2. Pursue a Bachelor’s Degree ESL teachers can hold an undergraduate degree in nearly any major, but some may be more beneficial than others, such as English, education, or linguistics. Some students choose to minor in education as a way to explore teaching within your subject area. 3. Earn Your Credentials ESL teachers must earn the right certification through an accredited undergraduate program, community college, language institute or online course. If you want to teach abroad, you’ll need a work visa. To teach in the U.S., need to meet licensure and/or certification requirements as determined by your state. 4. Continue Your Education A master’s degree is often a requirement for ESL teachers in community colleges or universities. Public school ESL teachers may need to earn a master’s degree to work for some employers after they’re hired. 5. Find Employment For international employment, you can research openings by joining online job boards or working with a foreign language institute. For jobs in the U.S., you can look for regions that are hiring, attend job fairs, or substitute teach at a local school. Community college and university teaching positions are typically posted on a school’s website or third-party website. A master’s degree will greatly expand your career options, including opportunities to teach at a university, a community college, or at an intensive language center abroad or in the U.S. The degree options listed below focus on education with an emphasis in ESL, with the last option designed for those hoping to teach English as a second language to non-English-speaking students in an ESL or an EFL context. MA – Master of Arts: Completing a four-year bachelor’s degree program is required before beginning a master’s degree program. Students who have obtained a master’s degree are highly educated in their chosen area of study. MEd – Master’s in Education: Graduates of a MEd program are well-educated in their areas of study to the point that they are also able to teach that subject to others. MAT – Master of Arts in Teaching: Similar to a MEd, but students in a MAT program learn more about the tools and methods used to teach others. MA in TESOL – Master of Arts in Teaching English to Speakers of Other Languages: This is a specific degree program that specifically teaches students how to teach English to ELLs. Graduates of this degree program will be able to teach English to students without knowledge of the students’ languages. In this program, students frequently have the option to pursue a public school (PK-12) ESL state teaching certification. TESOL Teachers of English to Speakers of Other Languages: This acronym refers to educating English learners. The acronyms TESL, TEFL, ESOL, and ELL, all fall under the TESOL umbrella. TESL/ESL Teaching English as a Second Language: TESL and ESL are the same, and refer to teaching English to non-native speakers in public or private PK-12 schools, colleges and universities, tutoring organizations, or any company. Some states also refer to this as ESOL (English to Speakers of Other Languages), while others differentiate between TESL/ESL and ESOL. 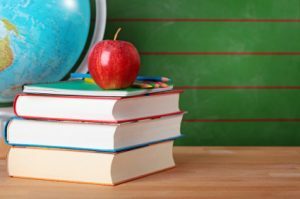 TEFL Teaching English as a Foreign Language: This acronym is used when an educator is teaching English in a country where English is not the primary language, and are often employed by universities and international organizations. ESOL English to Speakers of Other Languages: Can be used interchangeably with TESL/ESL, but it is more commonly used when referring to a program beyond an elementary-high school setting. These are also known as English as Second Language programs, and they all teach ELLs colloquial terms in addition to basic vocabulary and grammar. ELL English Language Learner: ELL students are those who are still in the process of learning English and are not yet fluent or proficient. The ELL acronym refers to any student in a TESL/ESL or ESOL program anywhere. Leading Sources for Teaching & Learning ESL: Our guide of over 100 sources offers free tools and paid lessons, general tips and specific exercises, and much more information to make teaching and learning ESL as fun and easy as possible. The Bureau of Labor Statistics – Salary Stats: Here you’ll find salary information and an industry profile for English language and literature teachers, as reported by The Bureau of Labor Statistics. Scholarship and Grant Opportunities: Are you looking for financial assistance to help with the costs of your master’s degree? If so, our guide provides a wealth of useful information on how to find and apply for grants, scholarships, and other forms of aid. Salary Information with a Master’s in ESL: Check out our guide with even more salary and career information for ESL teachers at all levels. We also share helpful information on Facebook, so if you’re on FB, feel free to “like” us!